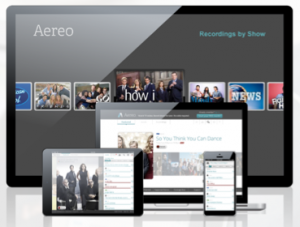 Failed cloud TV service Aereo has reportedly put its intellectual property and hardware up for sale at a bankruptcy auction this week. According to a Bloomberg report, Aereo has predicted that its assets could fetch from US$4 million (€3.5 million) to US$31.2 million, which will be used to pay back creditors. The firm is reportedly looking to sell one approved patent and 17 pending patents relating to its blocked cloud TV service, as well as its disk space, server racks, electronics and office items. Speaking to Albert Fried & Co analyst Richard Tullo tipped Dish Network, Verizon Communications and Apple as major firms that may be interested in Aereo’s IP. In June last year, the US Supreme Court ruled by a majority of six to three that Aereo’s strategy of charging customers a monthly fee for retransmitted streams of US broadcast channels violated copyright and was illegal.